What is online EU Cross-Border Top 500? 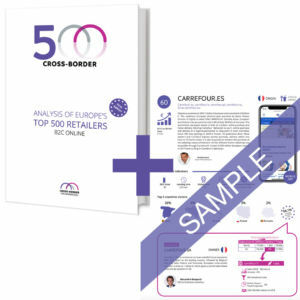 E-commerce Cross-Border Top 500 is a comprehensive compilation of Cross-Border data from websites of European retailers. 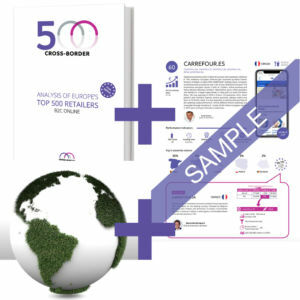 Ranking is obtained by ponderation of four primary parameters: Cross-Border web sales within Europe, SEO Cross-Border performance indicators, Cross-Border Country score and ratio of Cross-Border’s visits versus total visits (%). The study focuses on the European online retailers: retailers from Western Europe and Scandinavia (EU16), sales within the EU16 (“EU16 sellers” quoted). 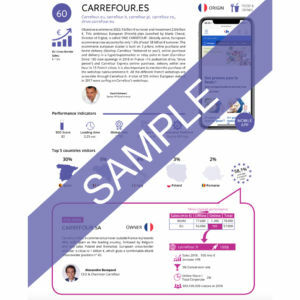 Research team analyzed key trends in the retail and collected and updated website traffic data to identify all relevant players from the EU, selling to European consumers. 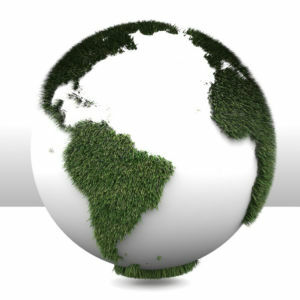 Data are available in several formats, including a comprehensive analysis report and the EU Top 500 Cross-Border Database (expected summer 2019) which includes thousands of customizable data metrics. Cross-Border commerce exclusive of travel is around € 95 billion, from which 55% is generated through sellers from and within the EU16 and 45% through sellers outside EU16 or non-EU sellers. 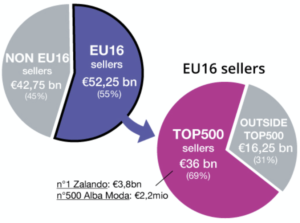 Within the EU16 sellers, €36 bn is generated by the Top 500. 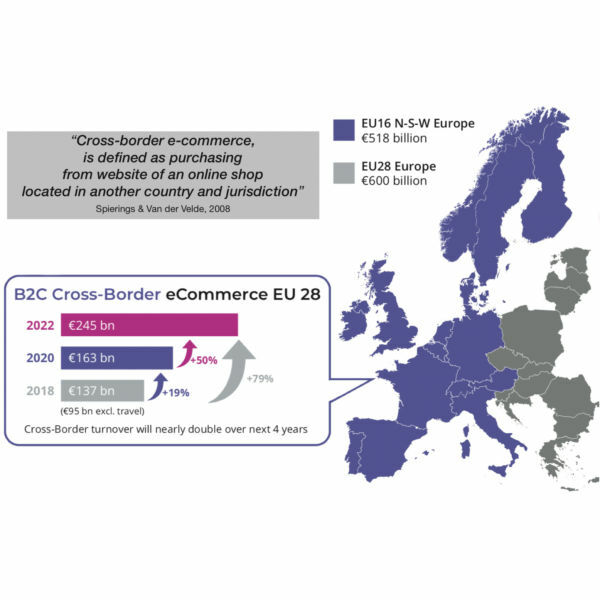 Out of the non-EU sellers 80% Cross-Border sales is driven by marketplaces with Amazon leading at €32 bn. 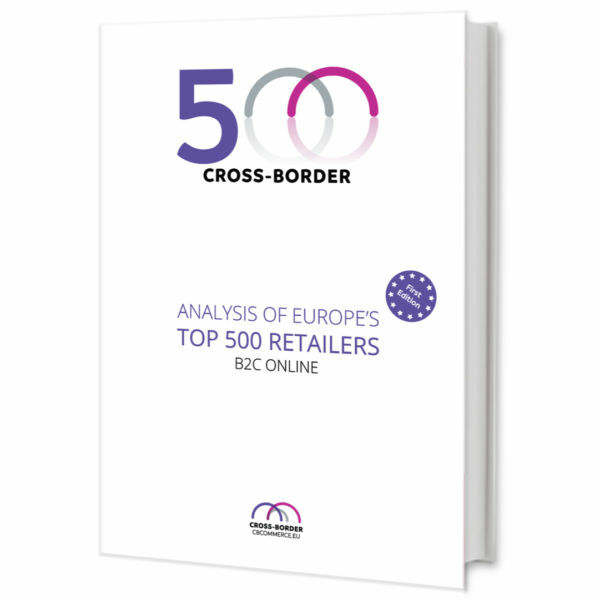 The report outlines current key EU Cross-Border trends and lists Top 500 e-Ranked players. It includes an in-depth analysis and key benchmark stats of the 4 retailer’s categories and 13 B2C product categories. It digs into strategies European leaders are executing to grow Cross-Border in Europe, hereby facing international brands and marketplaces like Amazon, AliExpress, eBay, Etsy or Wish. The report also includes Cross-Border strategies for Europe 2022 which are being developed by European Parent Companies.